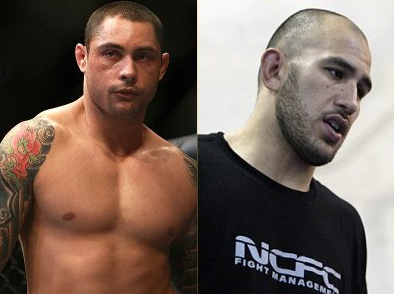 A pair of light heavyweights looking to rebound from recent high-profile losses will likely meet in January in what could easily be viewed as a "must-win" for both Thiago Silva and Brandon Vera. Though bout agreements is yet to be distributed, a source close from one of the contestants revealed that UFC is targeting a match-up between Thiago Silva and Brandon Vera for UFC 125. And while it is not yet officially announced by the promotion, the event is set to take plan on New Year’s day at the MGM Grand Garden Arena in Las Vegas. After a UFC 108 loss to Rashad Evans, Silva returns just one day shy of a full year. Though rumor of an ankle injury has spread prior to the event, Silva’s camp confirmed that it was actually an ailing back that gives the Brazilian a lackluster performance. He was then scheduled to face Tim Boetsch at the UFC 117, but he re-injured his back forcing himself to withdraw. Vera, on the other hand, fights again after his March loss against Jon Jones. Overwhelmed in the action, “The Truth” suffered multiple facial fractures in the match. After being considered as a top prospect in heavyweight and 205-pound divisions, Vera is just 3-5 since December 2006. In the event that the match-ups will take action, to whom are you going to put your money on?